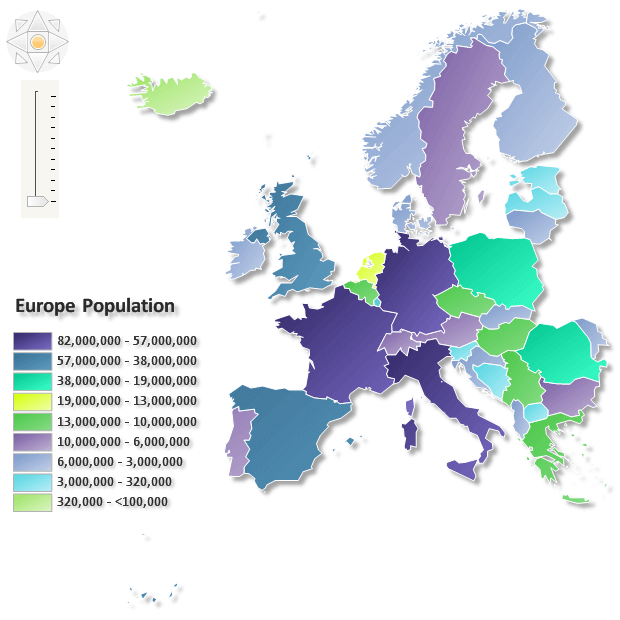 A Choropleth Map is a thematic map in which areas are shaded or patterned in proportion to the measurement of the statistical variable being displayed on the map, such as population density, regions or per-capita income. Nevron Diagram makes it easy to import geographical data from Esri shapefiles. You can import the shapes in separate layers and control the way they are rendered applying various styles to them. Nevron Diagram makes it easy to import geographical data integrate choropleth maps to your projects. The Diagram provide support for value and range fill rules, which helps you colorize any map in a data driven fashion. Map fill rules and data grouping policies can be used to automatically color map shapes based on the value of a specified shape attribute.